FAQs – RVProtection – We Pay Claims! No inspections are required. Pre-existing conditions can be waived however, if you have a recent inspection report to furnish. Yes, our contracts are fully renewable anytime. In fact, all policy holders are contacted by a representative prior to expiration. Are there payment plan available? Yes! we provide payment plans. For complete details log in to our website and view payment plan information link. Zero interest, 10% cash down. Do I need to pay a deductible for each component repaired? Unlimited number of claims can be filed. All claims are paid per occurrence, not per item! How are payments and claims paid and handled? We pay all claims via corporate credit card directly to the repair facility. The repair facility communicates with us and faxes us the estimate of the repair costs. How do I know which warranty website is legit? First: Know who you are dealing with, i.e., agent, dealer, internet dealer, administrator, insurer, or other entity. Most customers are very confused to actually who they are dealing with on the internet. Find out who the actual administrator of the policy is. Every dealer or agent has a number assigned. If they are not willing to share their dealer or agent number, then look no more. If you are provided a number then go further and call to verify that this dealer number is valid. You should always be provided a toll-free number directly to the warranty administrator. Second: After you buy a policy how do you know your money ends up to the proper destination? Simply make a call to the administrator to be sure your policy is enforce. Failure to do this and you may find your policy was never “turned-in”, or forwarded. Bottom line….Follow up and check your policy. Or of course you could just go with us where yo uknow your money is safe and always ends up where it is suppose to go. How do we sell the plans so low? Selling direct through the administrator with no dealership mark-up provides a substantial savings through the web. No further income earned for the finance office. The ability to avoid “dealer mark-up”. How do you compare to Good Sams Plans? We understand they sell their coverage in 1 year terms. 1 year – unlimited miles As long as you renew, they will keep the rate the same next year, but, this 1 year term really limits them to exposure on coaches or customers who make big claims or who have claims often. This way they never get stuck with a problematic RV for a multi-year commitment. They choose not to re-new any coaches they deem to be problematic, which is when the customer needs the coverage the most. They sell a one year term, and bill monthly, for instance take a $1700 contract which they will bill $145 per month. In 4 months a customer would have gave them less than $600. If the customer has a $2,000 or $3,000 claim, do they think they are going to get their contract re-newed next year? Our coverage’s are less expensive and in many cases more comprehensive in nature, and you can always cancel your policy ANYTIME, which makes it pro-rated. You do the math!! It is all about resale value, isn’t it? Wasen’t it when you bought the coach to begin with? After all, how much resale value is in a one year term on a service contract? 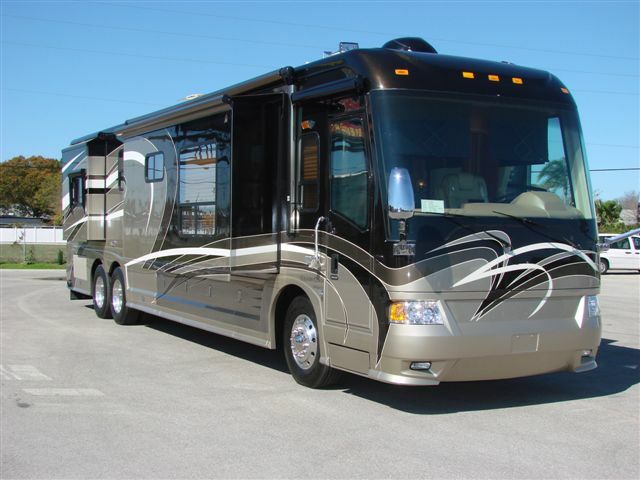 I own an older motorhome, will your plans be honored by any and all repair shops? Yes, we do not govern the age in which work can’t be performed. It is up to the individual repair shops. Is it better to deal with my local dealer when buying a protection policy? Will I have the support from an online purchase? Yes! In fact, the policy support from our ageny is 24/7 – 365, is your dealer? Unbeatable policy support, assistance, and management. The Plan is a contract in which when presented, repair facilities will honor, regardless of the origin of purchase.